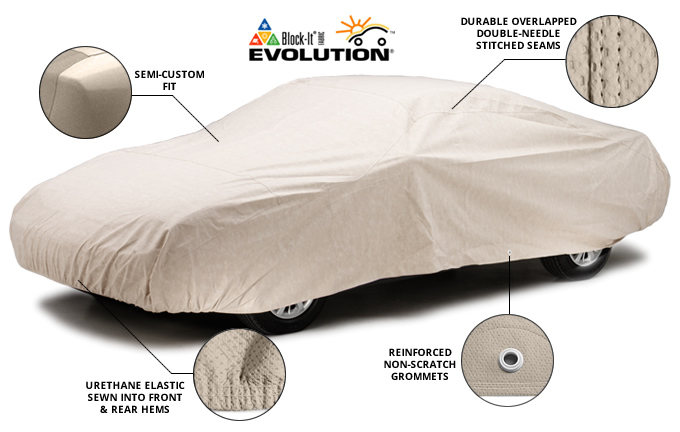 Ready-Fit covers could actually be called "semi-custom" since they are designed to provide a very good fit using incremental sizing and a hatchback silhouette. 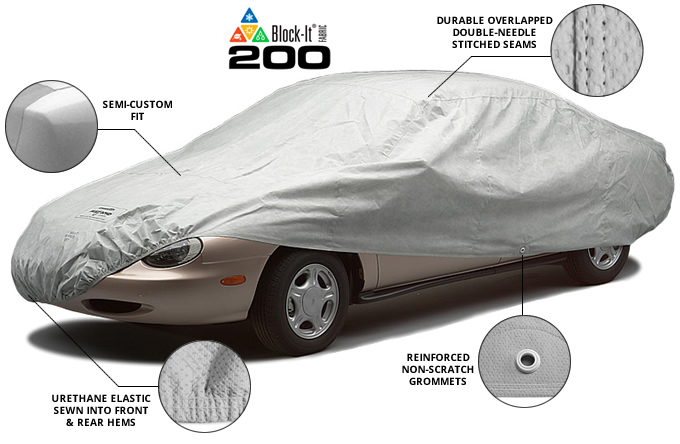 While any of our over 80,000 custom-patterned covers can be purchased by special order, you'll find that we have many of the Ready-Fit covers in stock and ready for shipment. 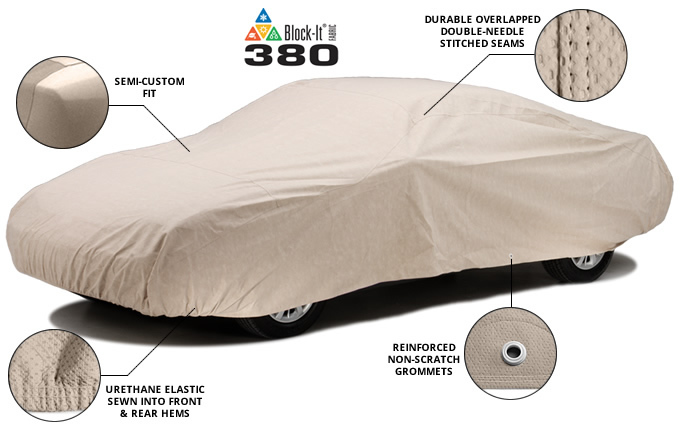 Our semi-custom program uses Block-It® Series non-woven protection fabrics made by Kimberly-Clark in the U.S.A. Our wide variety of patterns provides a good semi-custom fit. 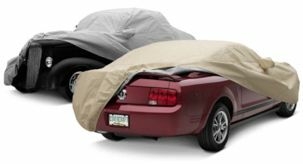 There are NO mirror pockets on Ready-Fit covers.